The d:facto™ series brings true studio sound to the live stage and recording studio. These mics are available in an extremely linear version as well as in a version with a high-end boost. 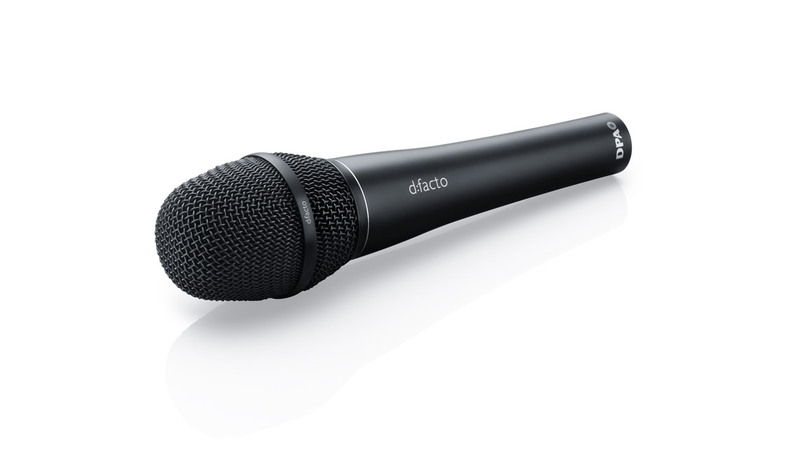 Engineered especially for vocal performances onstage, the d:facto™ holds a supercardioid capsule that is designed to reproduce every nuance of the human voice transparently, consistently and thrillingly. There are two versions available. The d:facto™ Linear Vocal Microphone features the MMC4018VL Supercardioid Capsule, which is extremely linear. The d:facto™ Vocal Microphone features the MMC4018V Supercardioid Capsule, which has a high-end boost. Both feature an isolation-optimized supercardioid polar pattern. This directional characteristic offers the best of two worlds — from cardioid and supercardioid patterns. Where sound pressure levels are a challenge, the d:facto™ is up to the task. It has three-step pop-protection grid and best-in-class low handling noise. 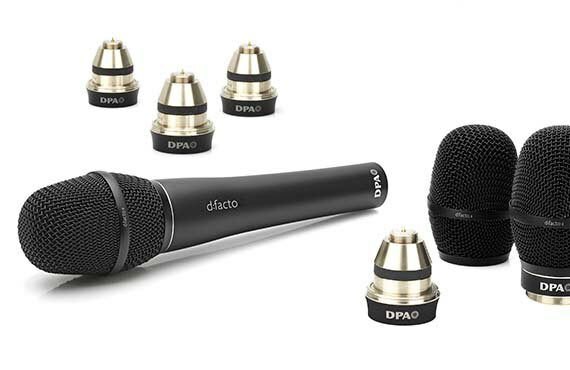 The d:facto™ offers excellent sonic reproduction with all the detail and balanced linear phase and frequency response users have grown to trust for DPA Microphones. Like traditional supercardioid mics, the d:facto™ series enjoys high side- and rear rejection with a minimum of 9 dB attenuation to the sides. Yet it is not bound by the less desirable aspects of the supercardioid like the uncontrolled and nonlinear rear lobes, which can create feedback from stage wedges, because there is a sudden high frequency peak at the back side of the mic. The d:facto™ series has a wider acceptance angle at the front of the mic than most supercardioids. The acceptance angle is identical to a first-order cardioid at ±60 degrees off-center, resulting in the same work field as a cardioid — just with extremely high and uniform side- and rear damping. “She [Fiorella Mannoia] was very comfortable with it [d:facto™ Vocal Microphone] and really liked the way it enhanced every detail of her voice. 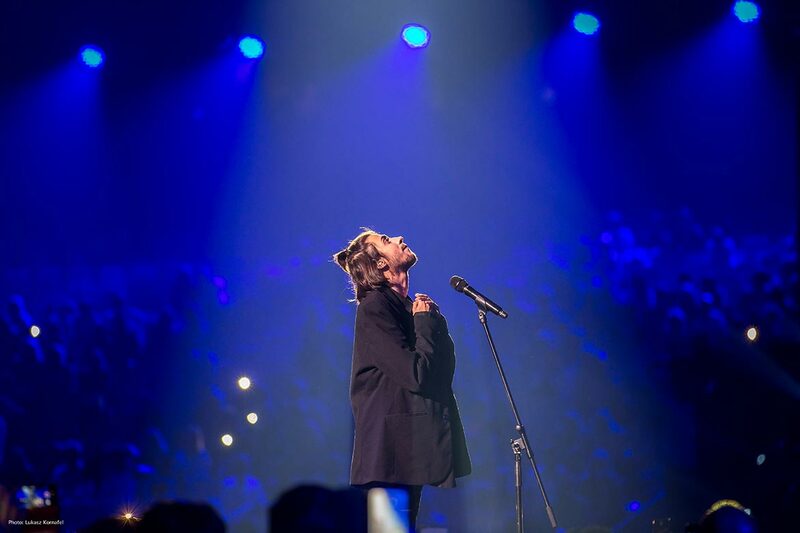 It allowed her to sing with great expression and her voice sounded really natural because there was no coloration – all you got was the sound of a fantastic voice. She liked it so much that she now won’t use anything else – in fact she is even using it for studio work because it delivers such a great sound." The d:facto™ Handheld Microphones series boasts a fully modular construction. The grid, capsules and wired handle (or adapters for wireless systems) are all interchangeable. This ensures that your audio investment is future proof — easily adaptable to changes in wireless technology as well as frequency-band modifications. You can use the same supreme-sounding capsules wired as well as with third-party wireless mic handles. This preserves the capsule sound and makes it possible to keep the sound settings between different performances. Improving the sound quality even with low-cost wireless systems may be a better audio result than buying a more expensive wireless system. The d:facto™ line consists of two capsule versions. The vocal microphone is intended for stage use with audio quality so high that it can be used for studio recording as well as broadcast use. The vocal microphone comes in a linear version and a version with a high end boost. 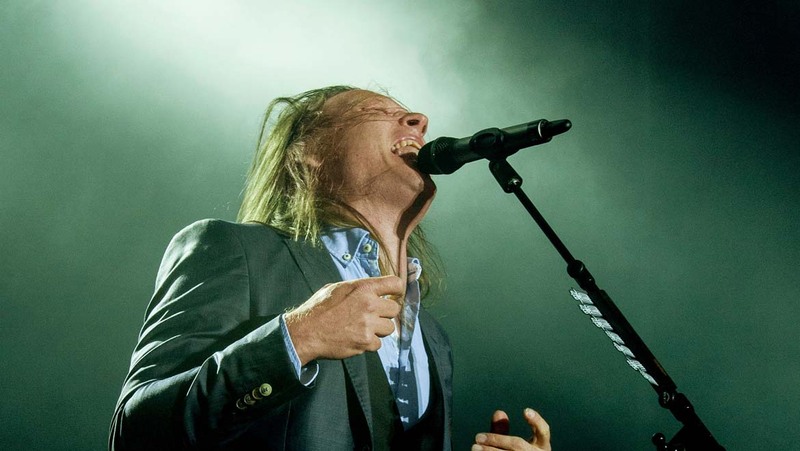 It can be quite a challenge to give a stage mic enough protection against plosive consonants like k, p and f without adding too much high-frequency damping at the same time. We have developed a three-way pop-protection system, which is easy to remove, split and clean after use. 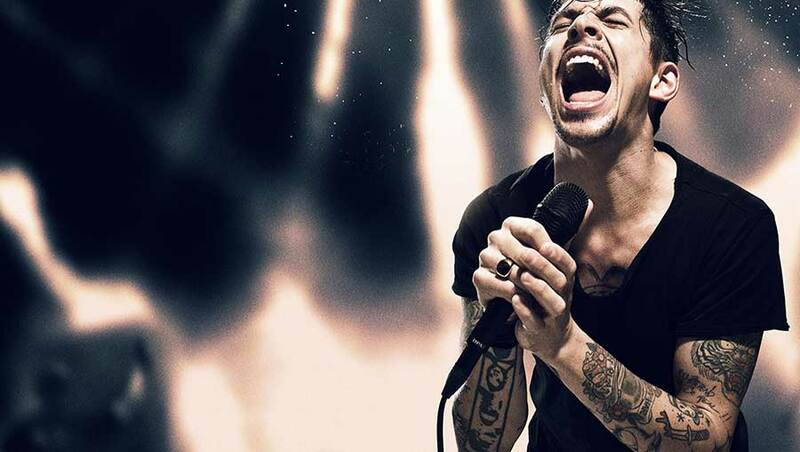 d:facto™ Vocal Microphones also have an effective built-in shock rejection rubber ring close to the mic head, which suppresses unwanted handling noise. This gives you flexible, simple and affordable possibilities. With the d:facto™ Vocal Microphones series, you are no longer bound to one wireless system. As circumstances change, you can just switch your adapter at a quarter of the cost of a new microphone. You won't hear any loss in sound quality. Our selection of accessories allows you to make your mic your own. With the d:facto™ Vocal Microphone you gain stunning vocal acoustics. Why not personalize it further with our range of grids, clips and windshields. 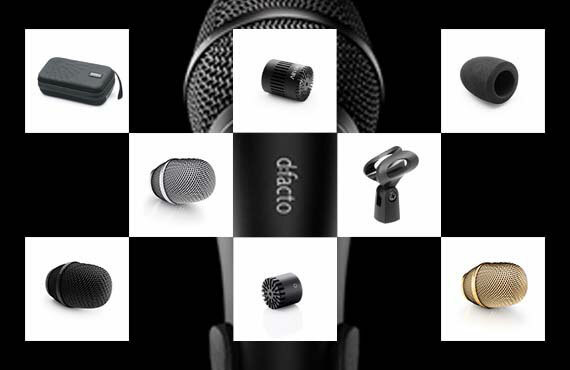 See the accessories available for d:facto™ Vocal Microphones.